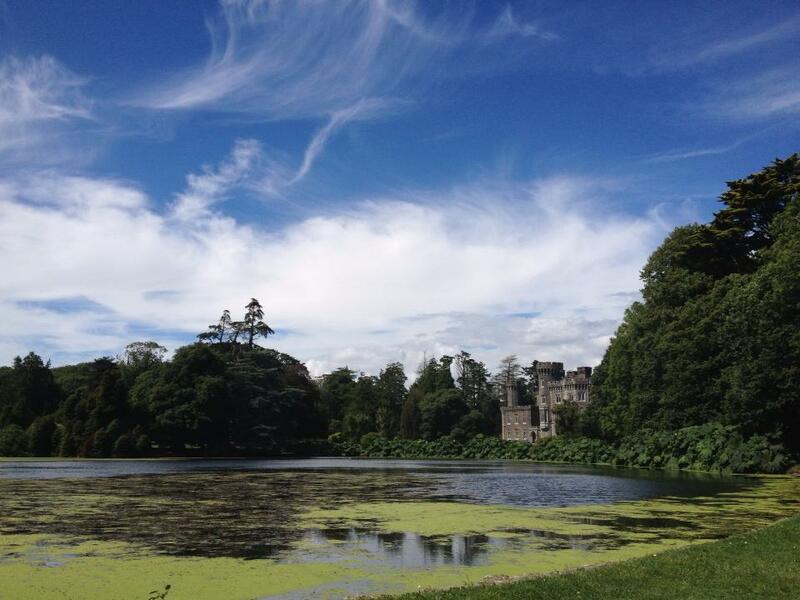 Johnstown Castle, Wexford. June 2013. What other way to greet the end of a relentless year than with relief? And also with happiness that it’s over; and with a hope that I won’t encounter another like it again. I spent long hours in unhappy places over the past 12 months and, despite this, happy hours in others. Today I’m thinking of the better times: my niece’s birthday party, a nightcap with my wife on the terrace underneath Sacré-Cœur Basilica, and, most of all, the warm afternoons in June spent with my mother at Johnstown Castle. I am writing this thousands of miles from those places, remembering and looking forward. To everything there is a season and surely the next season will be better than the last. Until I find out, happy new year. Scott Fitzgerald the screenwriter, 1937. In December 1940 a hack screenwriter died in the sitting room of his girlfriend’s home in Hollywood. Alcoholic, in poor health, receiving little credit for his work and dropped from a contact by MGM a year earlier, he would spend his last days working on a draft of an uncompleted novel. When his body was later taken to Maryland for burial just 20 or so people showed up to his funeral. 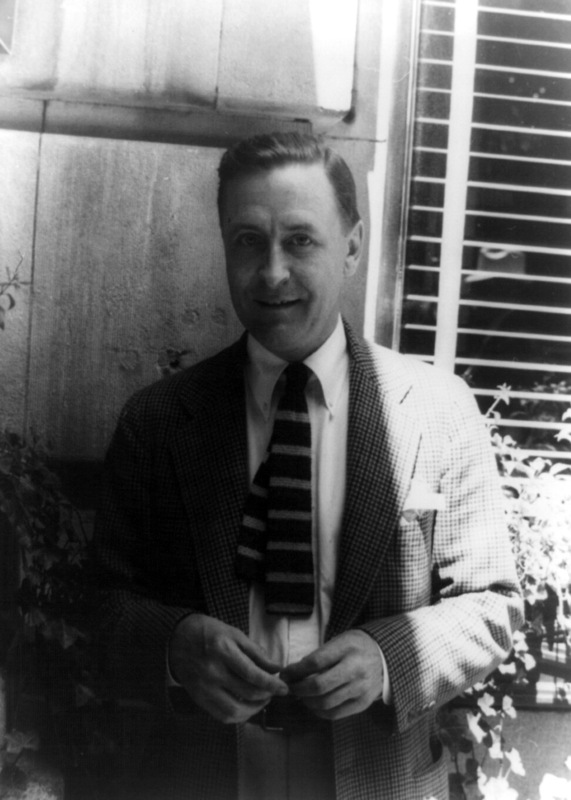 The screenwriter, Scott Fitzgerald, had described himself as a ‘hack’ – in his final years at least. Writing freelance movie scripts was some way from his previous work and promise, which included, in The Great Gatsby, one of the closest realisations of the Great American Novel. Fast forward 70 years and the latest screen adaptation of the book earned $300m at the box office this year, with $200m more expected in re-runs and DVD sales. Fitzgerald The Hack made it big in Hollywood after all. 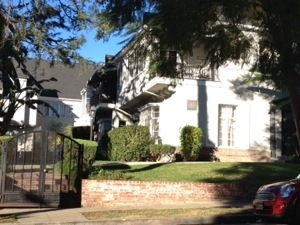 1443 North Hayworth Avenue, West Hollywood. This week his ghost was all around. En route to LA in recent days I watched – and greatly enjoyed – The Great Gatsby. Days later my wife and I found ourselves at a hotel in West Hollywood, minutes from Fitzgerald’s last residence, at 1443 North Hayworth Avenue. The street’s settled, well-manicured homes are the very opposite of the glare and bustle of nearby Hollywood Boulevard. Passing the property and aware of the last, ill and unhappy days of one of the greatest writers of the 20th century I couldn’t help but think of Nick Carraway’s lament for the doomed Jay Gatsby. 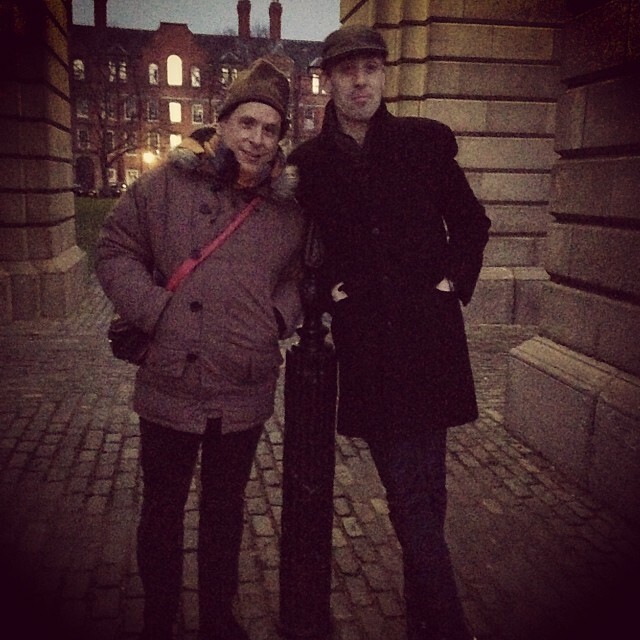 Juan and I, Trinity College, Dublin. A RARE thing happened last weekend. I spent some time with my two brothers-in-law. In the same room. At the same time. No Skype necessary. On one side was Cathal, my sister’s husband. On the opposite side of the room was Juan, my sister-in-law’s spouse. We all hooked up, with wives and friends, to see Juan performing at the Button Factory in Dublin, where he played with hip hop collective Deltron 3030. Afterwards we spent a short while catching up in a nearby bar. Such meetings don’t happen very often; which is unsurprising, as we live more than 5,000 miles away from each other. It didn’t last too long but it was great to get the family under one roof (albeit without my sister-in-law Anne, sadly stranded in LA for the night) for a couple of hours. The conversation reminded me of how lucky I am. Aside from being brothers-in-law par excellence Juan and Cathal have two things in common. They’re both craftsmen, guys who are talented with their hands. Cathal’s an engineer and expert on all things electric. Juan’s a top bassist. As a guy more used to breaking, rather than making, things with my hands they both make feel very inadequate – but in a good way. About the only useful thing I can accomplish with my mitts is typing, so consider this post a seasonal shout-out to Cathal and Juan, to brothers-in-law and brothers of all and any types. PERHAPS it was the day’s sun. Or the wine. Or, more likely, the fingerpicking skills of my friend S.
Whatever the reason, quite early one September morning in the bar of small château near Bordeaux in the south of France, I experienced an epiphany. It came by way of a performance of a short piece of music on a guitar. Sligo River Blues had been first recorded 50 years earlier, in a church in the United States by the person who wrote it, John Fahey (or Blind Joe Death, if your prefer). Fahey, then 20, named the three-minute acoustic piece after Sligo Creek, a small river near where he grew up in Takoma Park, Maryland. 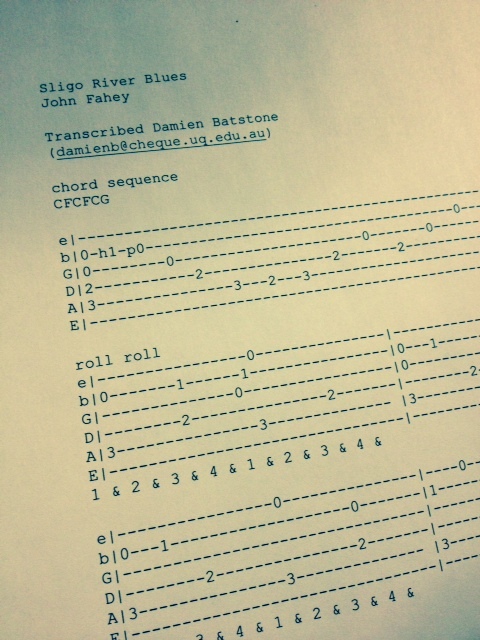 Written for solo guitar the piece is a repeating cycle based on first, fourth and fifth notes. Broken down it appears simple, if not repetitious. But it can assume a dynamic of its own when played, shifting from a series of notes to a melody to a mantra. That’s how I heard it that night in France – a three-minute experience that cleared my mind, emptying the room of everything but me and Fahey’s music. I asked S to play it again. And once more after that. John Fahey thought so. In 1956, at the age of 16, a friend played him a recording of Blind Willie Johnson’s Praise God, I’m Satisfied. He later described the experience as an epiphany, a conversion, which left him nauseated and weeping. He felt, he stated, like he had been “smote to the ground by a bolt of lightning”. So, what changed for me? That evening in France was not the first time I had heard Sligo River Blues. 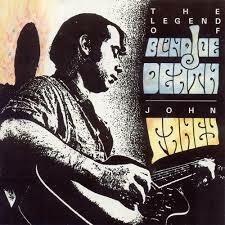 I was familiar with the song from a 1996 CD reissue of Fahey’s Blind Joe Death, the album it was first heard on. That version had all the cracks of the first vinyl pressing and the ambient noise of the room it was recorded in half a century ago. It was an authentic as you could expect. But, off the recording and in the room, it assumed a whole other power, a hypnotic, calm-inducing effect, a feeling of purity in mind and music. This was Charles Bukowski’s “curious feeling“, a feeling “that everything was beautiful there, that it would always stay beautiful there”. This was music as mind, as opposed to music as rhythm or pitch, sound and silence. I had never heard music this way before – almost as a Zen mantra. Since then I searched out other compositions or performances that have the same effect. They’re rare; likewise ‘Sligo River Blues’ itself doesn’t work for me every time, but when it does it is a remarkable experience. And you don’t have to be in France, or even in the company of a guitarist, to encounter it. Portrait of J.D. Salinger,Time, Sept 15, 1961. WHY ALL the fuss about three unpublished J.D. Salinger stories? Why indeed. News that the three works had leaked online last week made headlines on news sites worldwide. No doubt part of the furore was fuelled by literary interest but most of it had less to do with the writings and more with the persona of Salinger the Recluse. 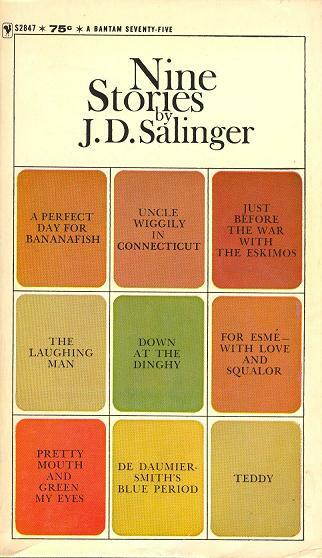 “The appearance of the stories would have undoubtedly enraged Salinger” wrote one commentator, a summation of the general consensus on the leak and a hint that more of the interest concerns the stories’ publication rather than their actual content. Of course the author’s opinion matters little. Salinger died in 2010 and – even if he was alive – his sole public comment on the matter would likely have been by way of legal writ. Public opinion itself may have just as little impact. After all how many people went beyond the headlines to seek out and read the stories over the past week? Who reads Salinger nowadays anyway? A week or so before news broke of the three unpublished stories I was sitting with a friend in a Dublin bar when the topic of The Catcher In The Rye came up. D had just completed it for the first time and we agreed that this was unusual, given the book’s popular (if inaccurate) reputation as a touchstone for teenagers. 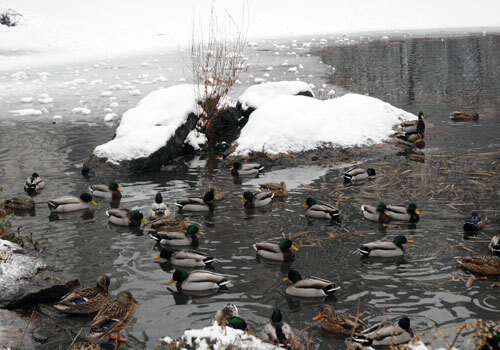 A conversation followed on the book’s appeal, the character of Holden Caulfield, the famous metaphor of the ducks on the lagoon near Central Park South, and some of its more famous lines (“People always clap for the wrong things,” being one). We agreed that the book was re-readable, a classic, a work capable of altering your view of the world. Then it occurred to me: what other Salinger had I read, or could I recall? I remember pushing through Franny And Zooey, unable to sleep from jet lag in a hotel room not too far from the Glass family’s fictional Upper East Side apartment. I found the two works tiring at times, occasionally self-indulgent, unimpressive. Returning home that evening I dug out my unread copy of Nine Stories, a collection of pieces which mostly appeared in the New Yorker and which established Salinger’s literary reputation before the celebrity of The Catcher In The Rye altered it beyond his, or anyone else’s, control.. Unlike the three leaked stories the author consented to the publication of this 1953 collection; it’s regarded as containing a number of his best short works. The Salinger here is far removed from the recluse, the litigant or curmudgeon, of popular culture. Though familiar themes are present (the sanctity of childhood and innocence, perfectly paced dialogue, a sly, not unkind humour) this is a collection mostly about war. 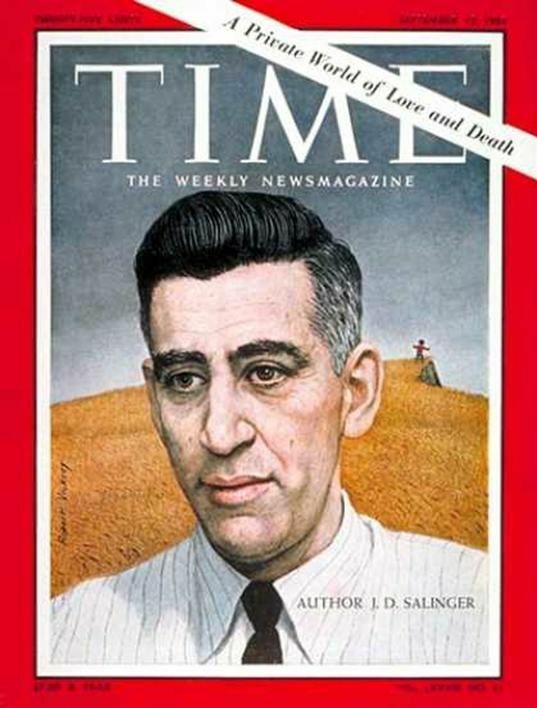 Salinger served as an infantryman, landed on Utah Beach and witnessed the horrors of a concentration camp near Dachau. He was later hospitalised for combat stress reaction. The conflict, and its after-effects, linger in the background of some of the stories and are front centre in others (the collection’s centrepiece, For Esmé – with Love And Squalor, addresses post-traumatic stress disorder). While Holden Caulfield’s catcher tries to save children from loss of innocence the best of Nine Stories celebrates innocence regained – through moments of human connection and self-realisation. Three new Salinger stories? Best try these Nine.